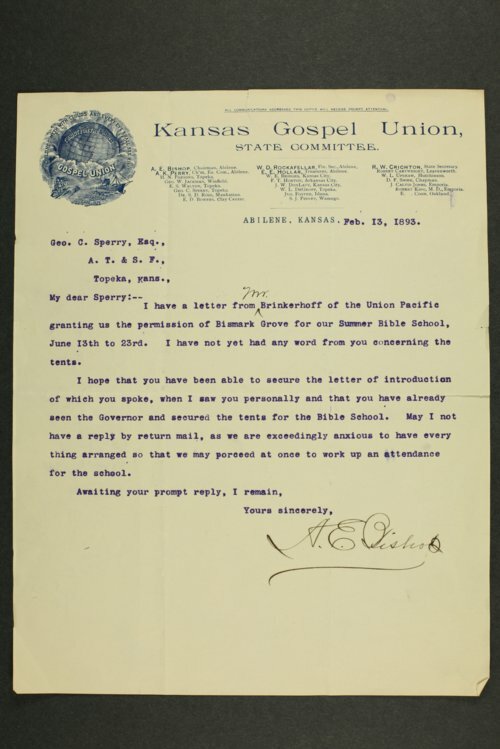 Correspondence sent and received by Kansas Adjutant General Henry H. Artz. Many of the letters are addressed to Governor Lorenzo D. Lewelling. Correspondence includes letters from former Adjutant General Alexander B. Campbell in his new position working for the Department of Kansas Grand Army of the Republic, and Captain George W. Jackson of the Garfield Rifles, a colored regiment in Leavenworth, seeking additional uniforms and arms.